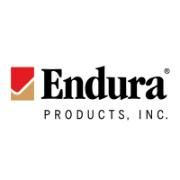 At Endura Products, we stand behind the superior performance of our products. FrameSaver® has been designed and manufactured to withstand time and the elements with a lifetime warranty against rot or insect damage. Easily identifiable FrameSaver® Brand stamped right onto the product. 7. 180 Day Primer comes standard. The FrameSaver® Lifetime Warranty Patented FrameSaver® products are cost effective, hassle-free and last a lifetime.